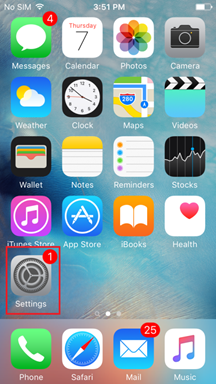 1.Find and click on the Settings app on the Apple mobile device. 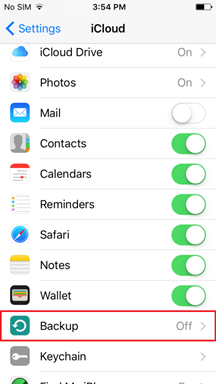 2.Scroll down to find the iCloud menu item, and then click on the iCloud menu item. 3.Click on the Backup menu item. 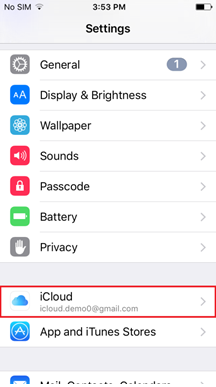 4.Enable iCloud Backups, so that your child’s mobile device will automatically backup to iCloud every day. For now on, Apple will perform an automatic backup of your child's mobile device to iCloud every night, and you should receive new data once a day. As a parent, please make sure your child plugs in his or her mobile device to a power source every night. 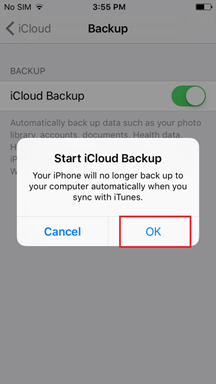 That is super important, and it ensures that the auto iCloud backups can occur. Connect your child's mobile device to a power source. Connect your child's mobile device to a Wi-Fi network. 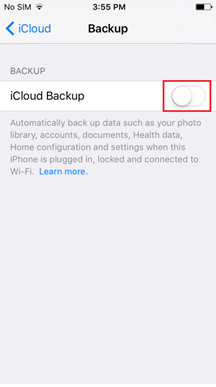 In iOS 8 and 9, tap Settings > iCloud > Backup and tap Back Up Now. In iOS 7, tap Settings > iCloud > Storage & Backup and tap Back Up Now.